Some people would assume that everyone knows these things and that they are common sense. But, when a person is under stress and not thinking too clearly, they might not do the things that they should to protect their rights to a fair trial. 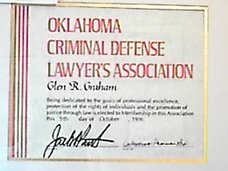 The first thing anyone accused of a crime should do is consult with a knowledgeable attorney. I would tell you to keep your mouth shut and not to discuss your case with anyone because they can become a witness against you --- even involuntarily --- if the prosecutor subpoena’s them to testify. Do not bring your family into my office to discuss the facts of your case in their presence because they may become subject to an involuntary subpoena by the prosecutor at a later time. Do not voluntarily give any statements to any police officers, law enforcement officers, government agents, neighbors, jail house inmates, guards, or anyone else. Your lawyer is the only person you should talk to about your case. Be extremely careful. I would tell you that all telephone calls from the jail are recorded and that all letters and correspondence in and out of the jail is xeroxed and copies made and saved for use against the defendant at trial. 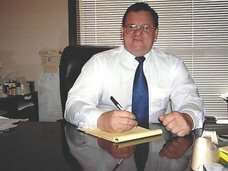 I would tell you that if you are charged with an Oklahoma DUI or APC or drunk driving offense that you have only 15 days from the date of your arrest to request a hearing to attempt to save your driver’s license and that this is also a way for a lawyer to hear the testimony of the witness, by requesting a timely administrative hearing within 15 days of the date of arrest. I would advise you that if there are any video tapes of the incident that you only have a limited amount of time to request a copy of the same if they are at a private business and that these tapes are not normally saved forever. The same is true of cell phone records, there may be time limits involved, and so do it immediately. I would advise you that you could consider having an independent blood, hair, urine test performed for drugs. Some tests (hair) are considered accurate for up to 90 days or longer and some are accurate for very, very short periods of time - like urine tests. I would advise you that witnesses have a way of disappearing, especially if they are defense witnesses. For some reason, defense witnesses tend to decide not to testify or to change their testimony. The best thing to do is to consider having the witness write out a brief statement of what they saw and have them sign it to commit them to one story. Sometimes, it is a good idea to have your lawyer hire a private investigator. However, each case is different and this may not be necessary. Some private investigators are former police officers and some may feel pressure to do their jobs in an efficient manner consistent with justice. Each case is different and hiring a private investigator is something that should be carefully considered. There is a stronger argument for work-product privilege if the attorney hires the investigator instead of the defendant. To be safe, it is always best to have the attorney hire any private investigator to be sure that all work is privileged. Do not dress like a “person who committed the crime” when you appear in court. If you are accused of drug dealing, do not dress like a drug dealer. If you are accused of any other type of crime, do not dress like a person who would commit that type of crime. In the really big cases, assume that your telephone calls are being recorded. Police have been known to obtain a court order allowing them to place a bug in the home, business, or on the telephone. Cell phone records can be obtained which will show what phone numbers were called and the location of the nearest cell phone tower. Some police have been known to place a global position system (GPS) monitor on to the motor vehicle of the defendant and then to track their movements with a lap top computer. Some mount with a magnet. They are sold online. Your computer and your email--- are records --- and may tell on you. Do not write anything that can be used against you. Do not use search engines for terms that could be interpreted as implicating you in a crime. Assume the worst, and prepare for the best. Gather the names and addresses of any witnesses. Talk to an experienced criminal defense lawyer about what actions to take to protect your rights to a fair trial. Fair trials do not magically just happen. You will have to work to obtain a fair trial. We have an adversary system. It is the state or government versus fellow human being - you. 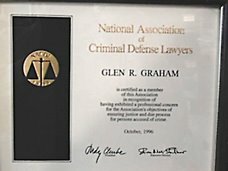 You should hire the best, most experienced, criminal defense lawyer in your area to protect your right to a fair trial. Consider hiring your own private lie detector expert to administer a private lie detector test. Although they are not admissible in evidence, you might consider using it, if you pass, to push the prosecutor to drop charges in a weak case. Never agree to a lie detector administered at the request of the state without prior agreement of your lawyer. You should want your lawyer present for any test. Some lie detector tests are used to obtain confessions or to discredit your story. Example: Have you ever lied about anything? Have you ever taken anything without permission? So, you are a liar and and thief, right? "No" - you say. You might be human, but that is not what they asked you. 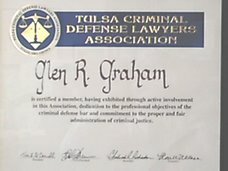 Tulsa Criminal Defense Attorney cares about clients and gives good pratical advice. Thank you.